When you have a pickup, protecting your tailgate is an absolute must. So defend it with the ProMaxx tailgate mat, that way you don't have to worry about getting your tailgate scratched and dinged up. ProMaxx tailgate mat is crafted from a sturdy 5/16" rubber compound the same material that is used in heavy duty tires. 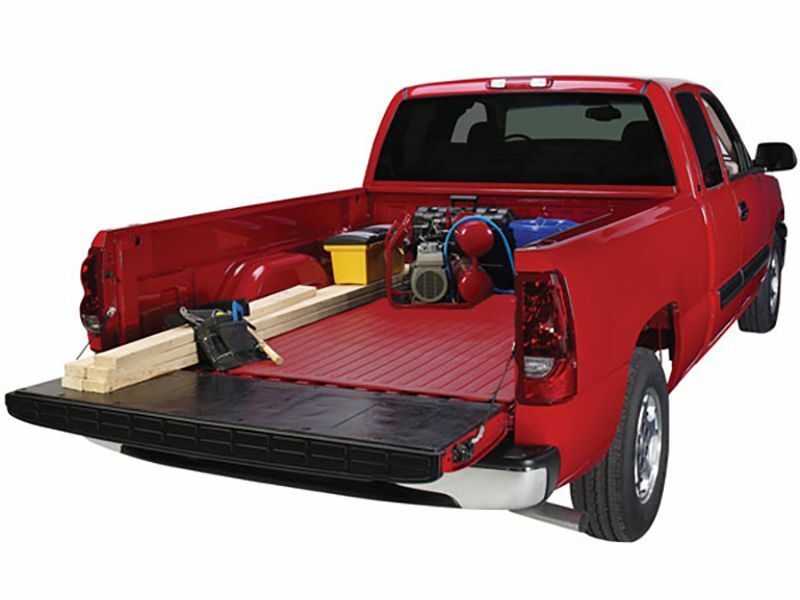 This tailgate mat will deflect impact damage and stand up to most chemical spills. It also won't ever crack or break, even in extreme environments or temperatures. For a Complete cargo coverage, pair your ProMaxx tailgate liner with the matching ProMaxx truck bed mat. The ProMaxx tailgate mat installs in a flash, comes with all the hardware that your need to install. Better yet ProMaxx mats are made in the US and come with a limited lifetime warranty. Stop worrying about scratching and denting your tailgate, and get a ProMaxx tailgate mat today and put the worrying behind you! These tailgate mats are very easy to install and should only take about 30 minutes. Drilling is required to install product on most tailgate mats. If you have any other questions or need more information you can always give us a call.